Developed by Trimmers, the revolutionary cartridge will Save you MONEY! Hoof Tite™ Adhesive & Hoof Build surpasses much of the competition with a versatile urethane product. 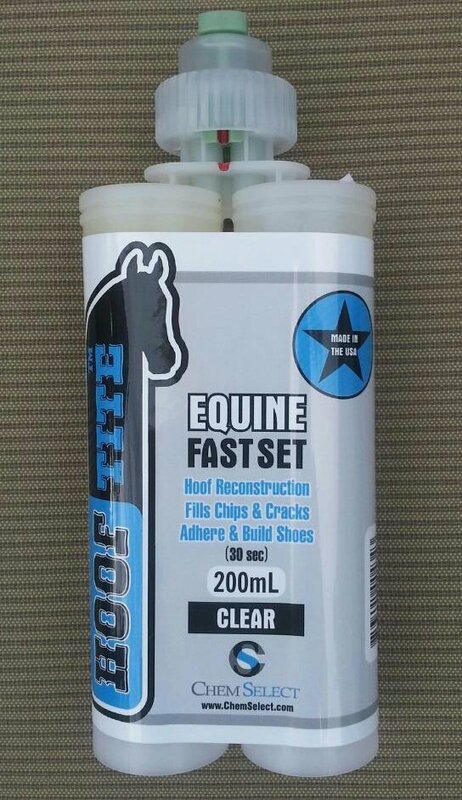 Farriers are saying Hoof Tite™ has a much stronger bond and better density level than other urethane adhesives. You can effectively adhere shoes to the foot or build shoes, fill chips or cracks, and reconstruct hoof wall. You also get an improved delivery system and better packaging. Step into the future of hoof adhesive with Hoof Tite™!